LaTisha is the founder of Creating Coins, a company that provides courses and training in digital marketing. Improving the system by running tests – she said, “everything is a test”. Ty Crandall on episode 164 introduced us to LaTisha. Marketing is a journey. It is taking someone through the thought process. It is working with all that buyer psychology. It is art and science. Marketing requires conversations with your audience. It requires conversations with potential clients. It requires a lot of research. Automation is a good thing because it allows you to maximise your time instead of trying to keep up with everyone who could potentially be a client, but it can also be a bad thing because there may be some people who are interested but don’t feel that personal touch that there used to be in business. It is a balance. A webinar builds that KNOW, LIKE, and TRUST factor. Someone can get to know you and get some education on who you are, what you do, how you can help them and why what you do is better than anything else they can get. It has that unique value proposition built in. Facebook ads or ads, in general, is like pouring gasoline on a fire, but unless you have that fire burning first, you are basically just pouring gasoline on dirt. The first thing to do is to have a working funnel and to test that funnel. The way to do that is by speaking to and testing your organic audience. Do an idea validation. Look to see who responds and try to find similarities in them. If your connections are scattered and they are not targeted to the general audience you want to reach, you are not going to get the data that you want. In this day and age, we don’t really have a personal profile. We don’t really have a personal LinkedIn or Twitter. 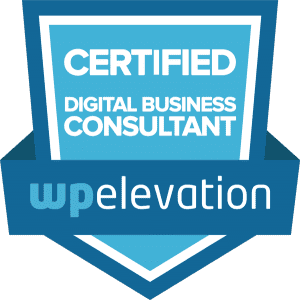 If you are in a business, those platforms are for you to continue to market your business so you can have meaningful conversations in a business framework. We love having meaningful conversations. We want conversations that have a clear start and finish and are well defined. There is so much noise in marketing. In order to cut through the noise, the person needs to feel that it is a valuable conversation or email, something that that person will enjoy opening and even respond back to. Make sure that you are providing really high value in exchange for email addresses. Letting your prospects know what to look out for creates an open loop in their mind. Start that journey of expectation in your very first email so that they know what to expect and they get excited when your emails pop up in their inbox. One of the best things that you can offer first is free training. A training or slide presentation is the highest value that you can give to someone. It gives them an opportunity to hear your voice, to see your teaching style, and to learn a bit more about what you do and the value you provide. Here are LaTisha’s answers to the questions of our Innovation round. Listen to the interview to get the full scoop. #1 thing to be more innovative – Remove as many distractions as possible. Go on a low information diet. Best thing for new ideas – Learn to become a co-creator. Keep project / client on track – Set expectations at the start. Give them a goal sheet. If you feel there is something that is going to slow them down, offer it as a done for you service. Differentiate – Just be YOU. Bring more of yourself into your marketing. Talk about the quirky things that you think no one is really interested in. People are hiring you because you are YOU. Have an opinion. Don’t just go with the general consensus because everyone is saying to do it this way. Have your own method, your own sauce. Don’t be afraid to share that opinion because if you want to be a leader, that means that by nature you are not a follower. You can reach out and thank LaTisha through her website, Facebook, and on Instagram. LaTisha suggested I interview Kayla Sloan, Founder of $10K VA, who helps entrepreneurs set up systems to streamline their businesses. 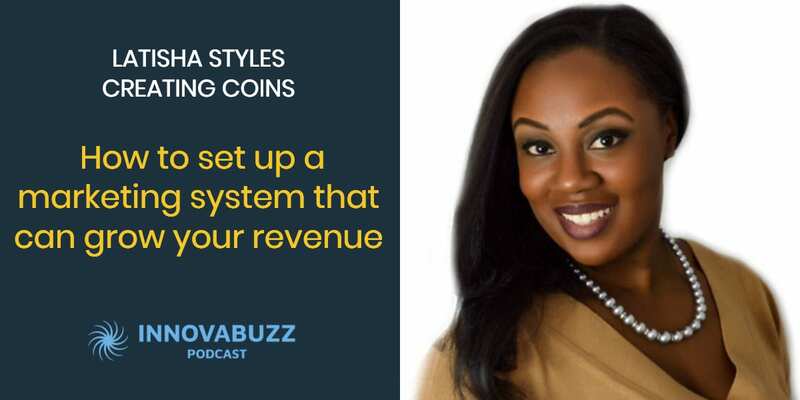 So Kayla, keep an eye on your inbox for an invitation from us to the InnovaBuzz podcast, courtesy of LaTisha Styles. She started out as a personal finance blogger. She has served in Costa Rica and Mexico volunteering her Spanish fluency with children in both countries, and while building homes in Mexico. She serves on the board of the Living the Mosaic Foundation which serves children on the Autism Spectrum.